Do you know why professional standards are important, want to know more about ISAS accreditation, see a demonstration of the Traffic Light Ready (TLR) gap analysis web tool and have the opportunity to discuss ISAS in detail? 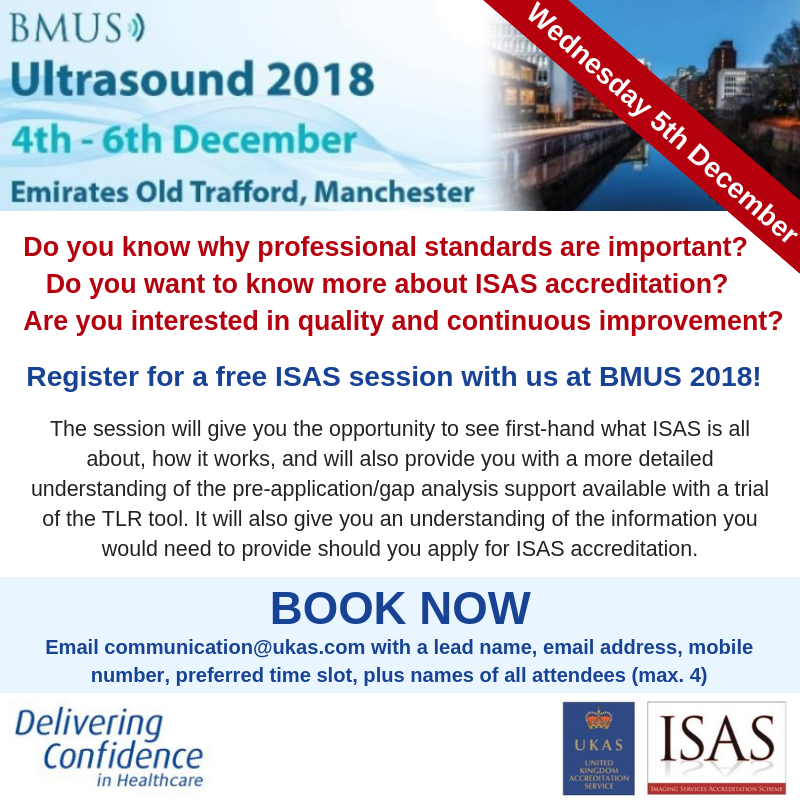 On Wednesday 5th December 2018 at BMUS 2018, we are running 30-minute ISAS sessions on the UKAS stand. This will include a demonstration and trial of the TLR gap analysis tool, with free time for any questions that you might have. The sessions will be run by Chris Woodgate, ISAS Officer, and are available to registered delegates or those just visiting the exhibition hall. If you would like to book a place, free of charge, please email communications@ukas.com with a lead name, email address, mobile number (in case of queries on the day), your preferred timeslot, plus the names of all attendees for the session. If you are unable to attend a session but would still like to know more, please visit UKAS in the exhibition hall on Stand 9. Registration for BMUS 2018 is still open. Please visit the BMUS website if you would like to register for the conference.